In a city that prides itself on being ostentatious, it is sometimes challenging to find authenticity. Sany Bacsi is a refreshingly modest Gentleman with a wealth of knowledge that he is all too happy to share. It is this friendly and eager character that has helped the Hungarian go from strength to strength and like many a great story of Dubai, his success story started at the bottom (and now he is here)! 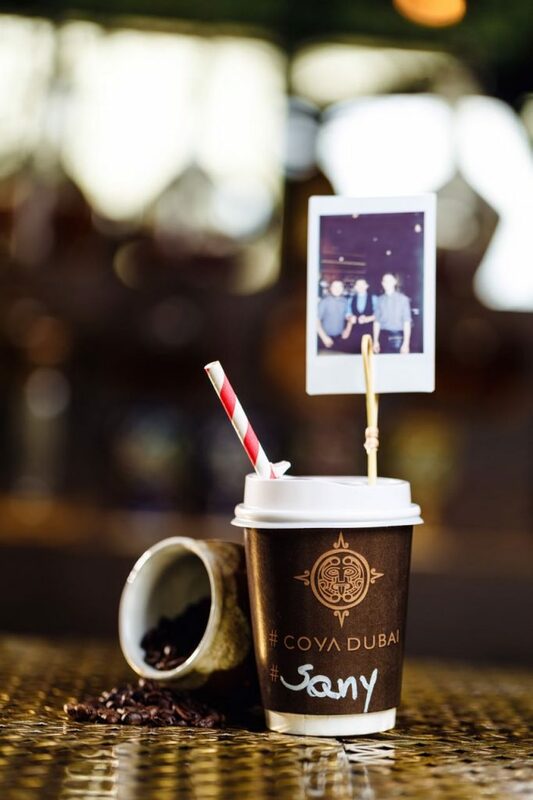 The bar Manager of COYA Dubai, an award winning Latin American Lifestyle restaurant opened nearly 2 years ago on Jumeirah Road in the Four Seasons Hotel, talks to TastedAndRated through his philosophy. GB: Tell us what inspired you to begin working in bars? SB: Honestly, I thought bartending would be easy. It is very cliché but having fun all the time, picking up girls, juggling with bottles and dancing on the bar seemed awesome and that’s the life I thought I wanted – who wouldn’t. GB: Tell us about your first bar job/wow moment? SB: The first job I had was behind the bar at my best friend’s little pub back in Hungary. A tiny place that served mostly coffee and spritzers for everyday office workers, and spirit mixers for the younger, student crowd. My first wow moment that I can recall actually happened outside of my work when I was out for dinner with my parents one evening. At the end of our meal the manager approached our table with the bill folder and when my father opened it he only found a small note inside which said “Thank You”. We didn’t understand what was going on until a familiar looking gentleman walked up to me shook my hand and said: “You always taking great care of me when I visit you in the afternoon, please accept this little treat from me to return the kindness”. GB: What do you believe the roll of a bartender is to the guest? 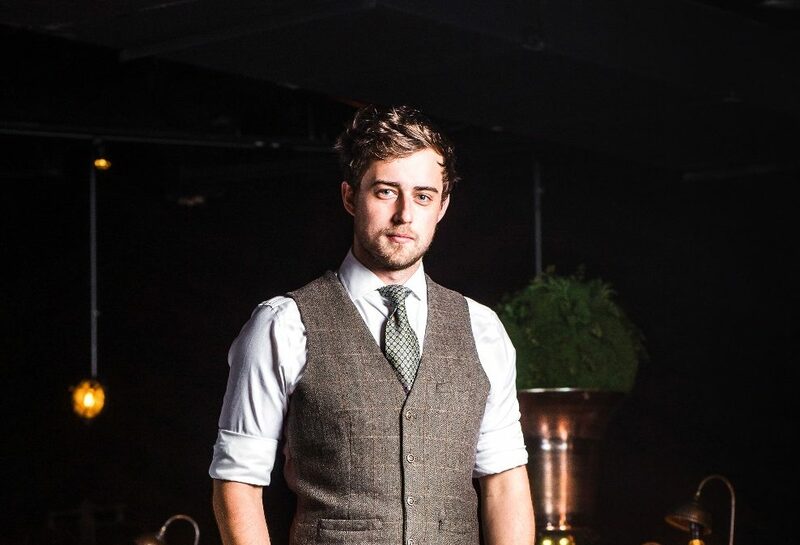 A good bartender needs to understand what his guests requires from him, its not just about the beer, glass of wine or cocktail they order.My motto is; “Until all our guests are smiling, we cannot take a rest.”! I wrote this few years ago when I was really bored and a bit tipsy and I have kept this as a guide ever since. 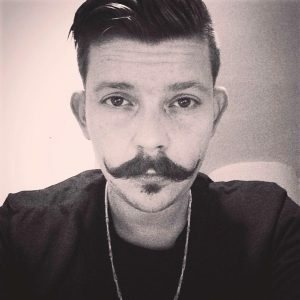 GB: What is your advice to people wanting to work in bars? SB: Oh-Boy!! My only advice for those who want to take on this line of work is that before they do anything they need ask themselves, “How much do I like people?” If there is even a moment’s hesitation or anything other than “I LOVE PEOPLE”, then this industry is really not for you!! GB: What do you think of the available products in the market, what stands out for you or you feel Is missing from Dubai that is readily available in NYC or London? SB: I think we are in a great position. Obviously the very new international small batch products are not easy to get, but since I have been in Dubai, I have always managed to source whatever I or my team wanted with the help of the suppliers. GB: What do you think is trending in the Dubai market at the moment amongst the bartending community? SB: I do believe we are in a transitional period right now, not just in Dubai but globally. 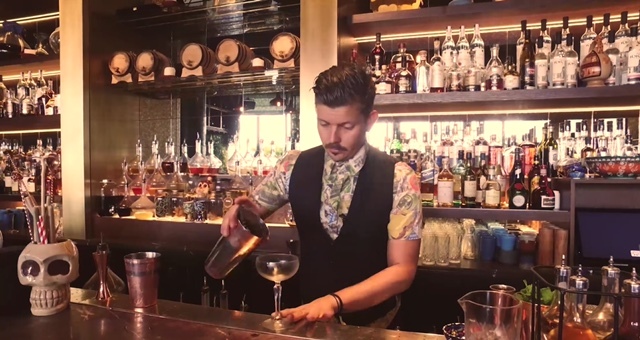 The time of the great classics revival has started to fade away again, we have definitely got to the point where bartenders the world over are so developed that you can walk into almost any bar anywhere and you can get a great classic Old Fashion or Negroni or Sour. The general knowledge of the trade has improved incredibly in the last decade. 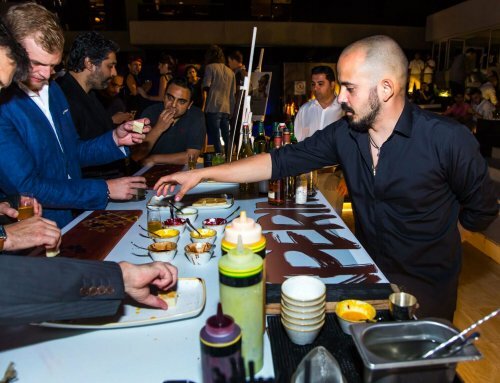 Now both customers and bartenders are looking for something new and exciting again, such as different serving styles, different presentations, the use of incredible garnish, a drink that is a multi-sensory, theatrical experience. We are looking for and want a wow effect, social media has changed everything about the restaurant and bar experience, people want to capture that moment, that emotion in a picture or video. Keep in mind that we generally follow everyday life and trends too, your daily life is affecting everything around you, which then effects the drinks trend. 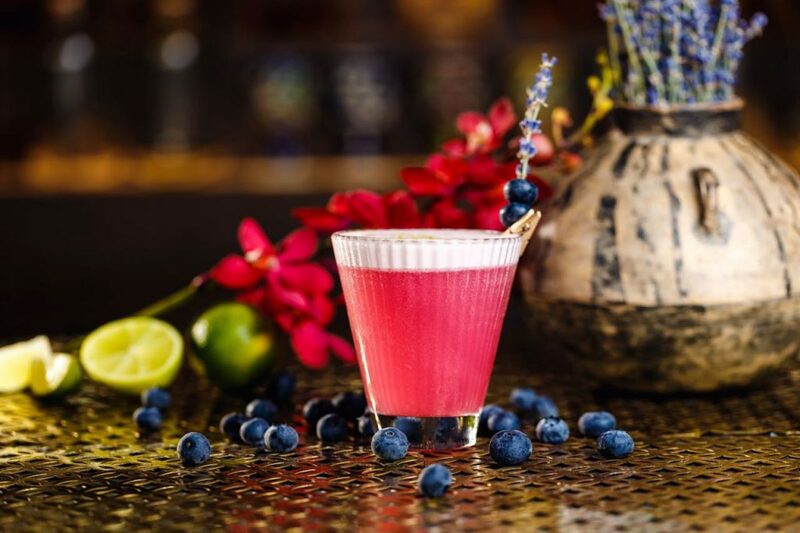 At the moment life is all about healthy, superfoods, organic, location specific produce and the like, so you can see this shaping and shifting the bar scene away from heavy alcoholic drinks to more fresh fruit mixers. If I had to choose what’s next based on the past I would say that we will see a resurgence and focus on the Tiki cocktail era, but with a renaissance moment and reinvented in the same way we have changed the classics for a modern palate. GB: What is your ‘go to’ drink of choice; At home, In a restaurant, In a bar? SB: Honestly, it’s all about Jack Daniels for me, on the rocks at home after a long shift, with a coke on the side in a restaurant and as an Old Fashion variation at a bar. I should also admit my addiction to Jägermeister, I will have it anywhere, anytime with anyone – so if you see me out somewhere…hint, hint! GB: What is your cocktail philosophy? GB: What ingredients could you never live without? SB: Ice. 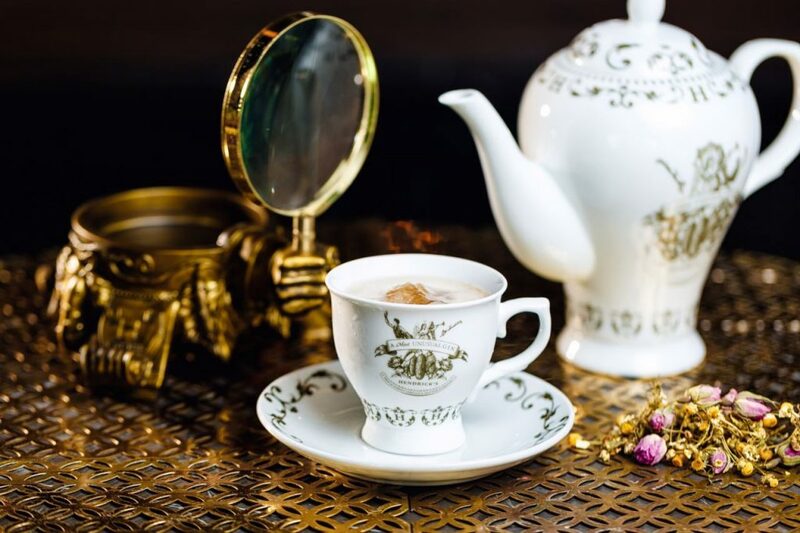 I can’t deal with hot alcoholic drinks – ice is such a fundamental part of the beverage experience, the type of water used, the type of consistency and clarity, even the final shape and how it melts plays such a huge part of your drink. GB: How do you rate the Dubai Bar industry? SB: I believe the Dubai bar scene is great. There are now a few well-established places, new venues are opening week after week, many talented and motivated people showing up and settling in Dubai for good. 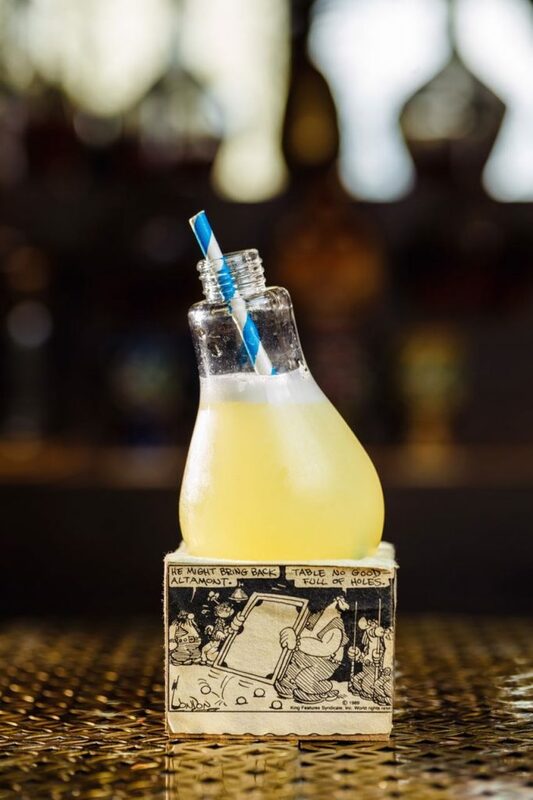 The level of competition is incredibly high, the quality of drinks is just as good as in London, New York, Hong Kong or any big international city. There is limitation because of where we are, but those smart enough and creative enough can make it work, we are shooting for the stars and that is a true Dubai attitude. Thanks to a few incredible individuals in our market who are and have competed on the international stages, the rest of the world is definitely watching and know what we are capable of…It’s awesome to be a part of this great city and help shape the bar world in Dubai. SB: Frankly speaking I am not really a “cocktail-master” type of guy and I would feel pretentious to say I have a signature cocktail that people straight away associate with me. I have a drink that I helped to bring to another level and hopefully one day can possibly become a new classic. I do believe I make a mean Old Fashion just because of the extended amount of care and love I put into it. 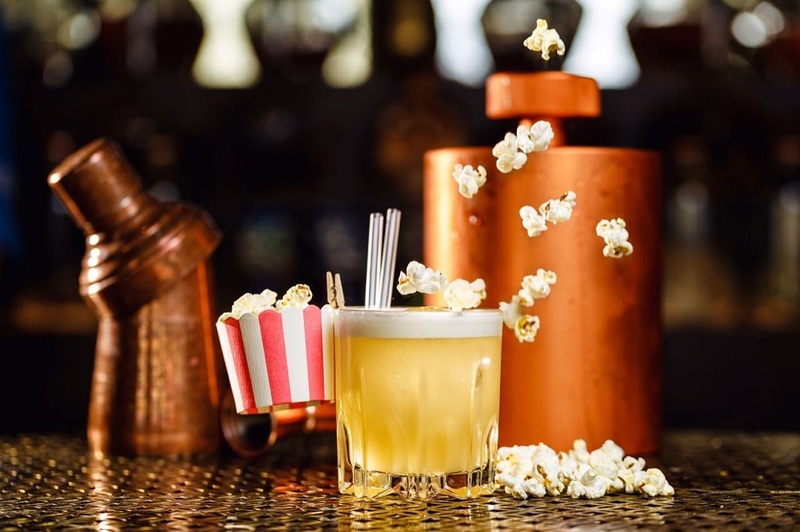 If I had to pick a cocktail, it would be the Sobre las Nubes (Over the Clouds) from our new cocktail menu in Coya Dubai. It’s a mixture of Jägermeister and dark rum, sweetened with some homemade clove and cinnamon syrup, fresh limes and pineapple juice. 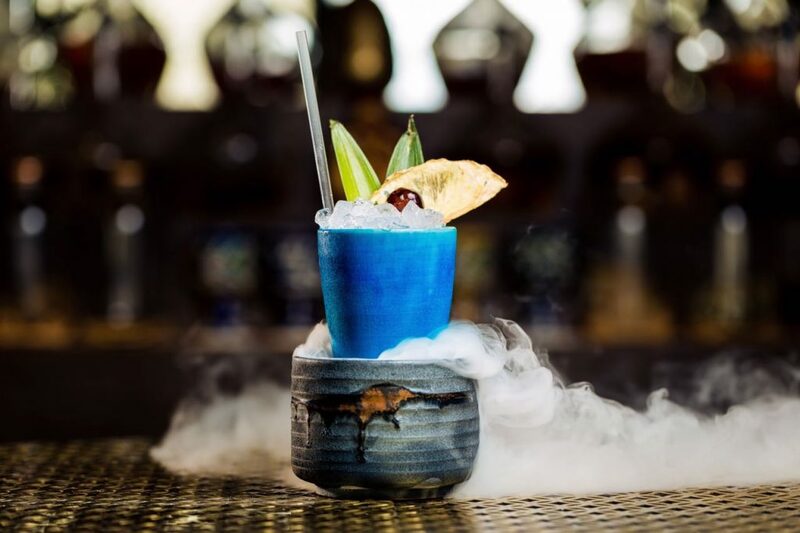 The drink itself is served in a blue ceramic mug which contains some dry ice in a separate compartment, when we present the cocktail we pour some white peach tea over the dry ice so it gives the visual effect of flowing clouds and the cocktail on the top. You get a great note of sweet white peaches which I believe helps you imagine a calm picture in your head, then when you take a sip it gives you a shockingly different flavour combination of spiced rum and herbs on the pallet.It’s the closest to be a “Sany’s signature” because of my love for Jägermeister. GB: Tell us more about your venue, team, cocktail menu? SB: At Coya, our main focus is Peruvian cuisine, but because of the complexity of the cuisine itself we have endless possibilities to play with our beverage menu. In terms of the beverage I do prioritise Latin American categories; Piscos, Rums, Tequilas, Cachaças and Mezcals. Most of our cocktails have some sort of connection to Peru, the Incan or Mayan heritage, which could be the flavour profile of the drink, the ingredients used or something in the presentation. I am working with an incredible talented, humble and fun team of 12. I couldn’t be more thankful for each of them, their hard work and consistency is actually what creates the experience in COYA’s Pisco Lounge. We have an interesting mixed nationality team with members from Peru through west and east Europe, Parts of Russia, through to India and all the way down to the Philippines. That is nearly 23 thousand kilometres between them, an interesting fun fact. GB: You just won an award, tell us a little more about that: what was it for, who decides? SB: I was recently awarded “Bartender of the Year” by the Food and Beverage Leaders Awards. It is an incredible honour and feels extremely good to say the least. There were nine independent judges, mostly heavyweight F&B professionals who made the final decision, choosing me out of the five shortlisted nominees. 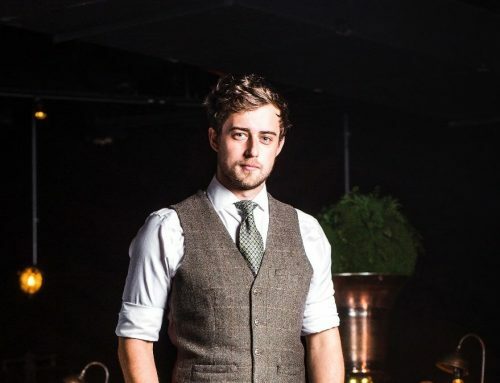 I worked hard for this over the last six years and I have also been really lucky to be part of two amazing teams, one in La Petite Maison where I was part of the opening team as a bar back and worked myself hard all the way up the ladder to Bar Manager – exactly four years after the opening. Then I moved to Istanbul for a short period of time to restructure the bar at LPM there and then after that I came back a few months later to open COYA Dubai. It’s been an incredible journey, I started from the very bottom as someone cleaning dirty glasses day after day to be a person who almost everyone knows in the industry and proudly can say that: “I am the Bar Manager in the Best Restaurant in Dubai” so I will repeat myself again, it feels really good!